This is the fifth installment in a series about a book I'm reading called Stories Done, which is a great collection of tales of excess from counter-culture leaders. The 1967 Summer of Love in San Francisco's Haight-Ashbury brings images of flower power, a counter-culture-inspired beginning of Earth Day and a heightened environmentalism, social connectivity, and cherishing the natural world over consumerism. It was the home of Allen Ginsberg's first Be-In, as the "beats" of the 1950s gave way to the '60s and its "hippies," which was the beats' term for "diminutive hipsters." But the peace and love were short-lived and had an underlying burbling of ominousness. The press and the city supervisors recognized it. Possession of LSD was made illegal in 1966 and the ritual was taken underground. 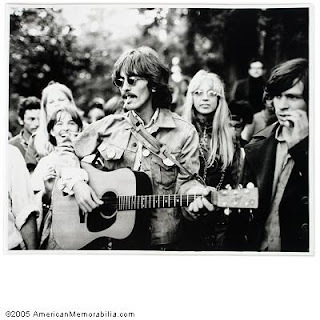 There were campaigns to get the hippies to leave town and live out in the countryside instead. There were street beatings and confrontations with police. George Harrison of the Beatles came to town expecting something like London's psychedelic scene but instead "felt appalled by the hideous, spotty little teenagers he'd found in the Haight." He walked through town and even played an acoustic guitar that someone handed him, but was so repulsed that he swore off LSD from that point forward. 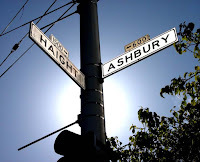 By the end of the Summer of Love, statistics show that more than 75,000 had visited Haight-Ashbury and soon thereafter abandoned the place. The neighborhood "may have been the largest laboratory for drug experimentation in America's history." Author Joan Didion even wrote about a five-year-old girl named Susan whose mother had been giving her LSD and peyote for a year. "The girl was reading a comic book, stoned on LSD. It was an unbearable glimpse at a dream that didn't even know when it had passed into nightmare."